Deep in the dark ocean we go for Day 4 of the Microbial Advent Calendar! Where the anglerfish lure prey with their bioluminescent headlight organ at the end of a modified fin! And you guessed right this organ houses a bunch of bacteria who generate the light! 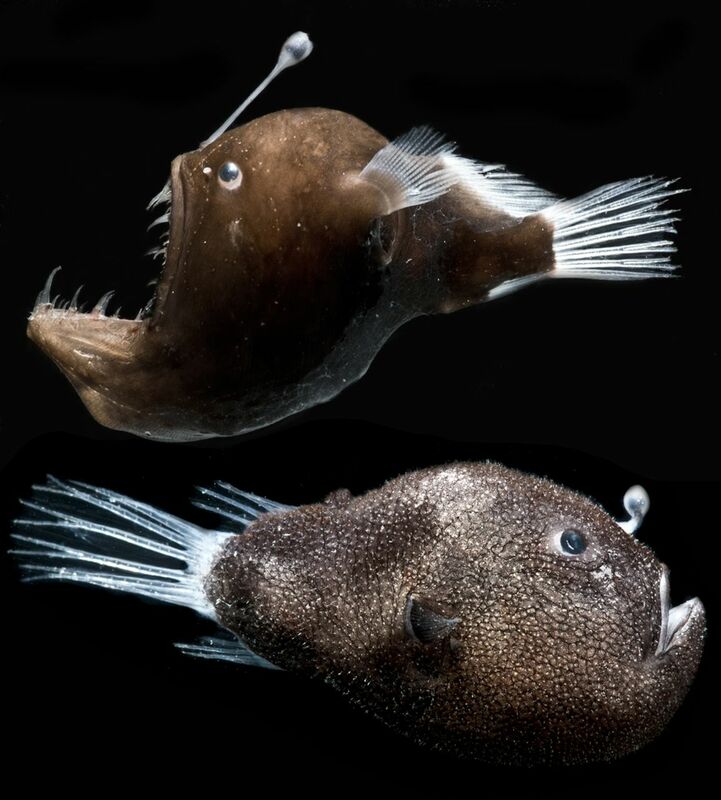 You find many species of anglerfish around the globe, some are pelagic (dwelling away from the sea floor), while others are benthic (dwelling close to the seafloor). They are commonly associated with the depth of the ocean, but you can find some species on continental shelves (not as deep as you would think). We don’t know exactly how the symbiotic association works, how do the bacteria stay in the organ and how do the anglerfish pick the bacteria up. A recent study looked at the genome of the bacteria and found that this symbiont has a very reduced genome. Much like other obligate symbionts that can’t live outside their host. The bacteria have lost many metabolic pathways and appear to be dependent on the host for most of their nutrition. More on the ongoing genome reduction of the anglerfish can be found in this recent paper here. Picture from the Hendry et al. paper here.